Spotify about to get a $50m boost? | What Hi-Fi? Spotify about to get a $50m boost? 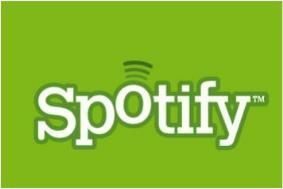 That would value Spotify at around $250m, or over £150m, and enable it to build on the success it has already seen since launching in the UK and Sweden last year. Its main target is now the US, where it's seen as a potential challenger to iTunes, although some feel its expansion is dependent on Apple allowing the service to be accessed via the iPhone. That, it's argued, would encourage more users to pay for the service: at the moment , streaming is free, supported by ads, or a £9.99 monthly subscription gets an ad-free service. The new investment is said to be coming from Hong Kong's Li Ka Shing Foundation, London-based venture capitalists Wellington Partners, and others.